event in our reprise of Curried Celluloid. independent theater in the Arts on Main area, called The Bioscope. Encouraged by the (relative) success of that, we're now hoping to make this a monthly effort. India Studies at Wits, will also speak a bit about the movie in particular and film art in India in general. The idea is also to reach out to those who are interested in film art from elsewhere in the world, but are not able to access it because of mainstream films from Hollywood and of course, big budget Bollywood! 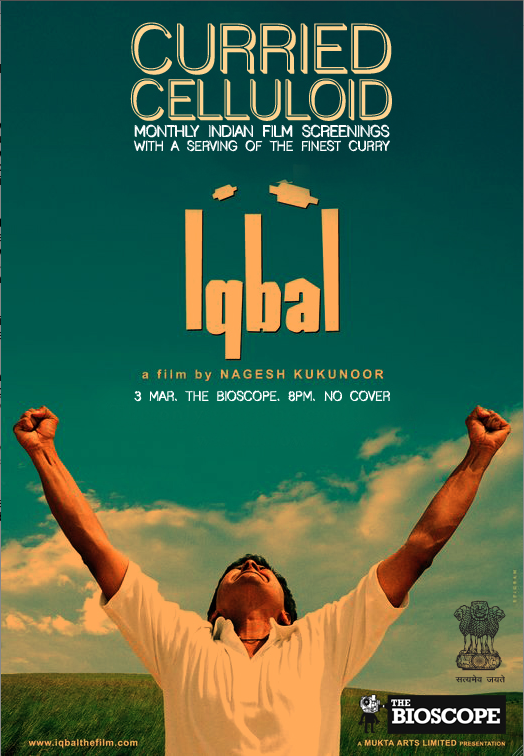 The programme itself will attempt to feature lesser known and offbeat films from India, with the odd Bollywood movie thrown in, with English subtitles, at the Bioscope. 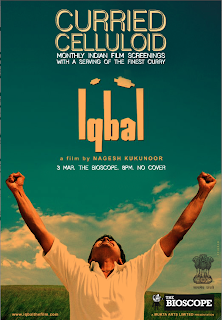 Films brought by the Consulate will be screened at no charge. Curry is being organized (at cost, alas!) for those who want to make an evening of it, at the café next door to The Bioscope. So that is by way of additional incentive. I hope to see you folks there. Please feel free to circulate this flyer to anyone you know who might be keen on what we hope will be an interesting evening.